A healthy prion protein (not in a misfolded state). Credit: Emw from Wikimedia Commons. The story of prion diseases really begins in the 1700s with an affliction that was spreading through sheep and goats in Europe. The disease at first caused abnormal behavior in the animals and then progressed to a more serious condition involving severe weight loss, lethargy, and eventually death. The animals also displayed signs of severe itching; they would rub up against trees, rocks, or fences so much to quell the itching that they would develop bare patches and sores. Because of this, the disease was called scrapie. Now fast forward to the twentieth century. In the late 1950s, researchers were investigating another strange disease in a remote region of Papua, New Guinea. This disease was rampant among a group of indigenous peoples called the Fore. They called it kuru, a derivation of the Fore word for to tremble, because severe tremors are one of the most recognizable symptoms of the condition. Kuru often begins with those tremors, movement difficulties, and trouble enunciating words. As it progresses, patients lose the ability to walk on their own, begin to have trouble swallowing, become severely malnourished and unresponsive, and eventually succumb to one of a number of immediate causes of death precipitated by their weakened state. In searching for the cause of kuru, scientists began to look closely at one uncommon practice of the Fore people: cannibalism. Specifically, the Fore people engaged in funerary cannibalism, where they ate the dead as part of a ritualistic practice. Men, however, did not participate in the act. And kuru rarely occurred in men, much more frequently affecting women and children. This led some researchers to hypothesize that cannibalism was central to transmitting the disease. Carleton Gajdusek, who won the Nobel Prize in 1976 for his work on kuru, provided strong support for this hypothesis by showing he could transmit kuru to chimpanzees by injecting them with brain tissue from infected humans. Gajdusek's research supported the idea that kuru is a transmissible disease. Now enter Stanley Prusiner, a neurologist who had become interested in both kuru and scrapie after meeting a patient who suffered from a similar disease called Creutzfeldt-Jakob disease (CJD). CJD is also an invariably fatal disease that is associated with abnormal behavior, a loss of coordination, dementia, and an overall deterioration of faculties. And at that point, like kuru and scrapie, CJD had been found to be transmissible by injecting infected brain tissue into a healthy brain. In studying the infectious agent for scrapie, Prusiner was able to confirm a previous finding that the agent lacked DNA. Instead, his research suggested it was made up entirely of protein. With this observation, Prusiner had discovered something completely new---and totally unexpected: the agent of infection for scrapie (and potentially for other similar diseases) was not a virus, but an infectious protein. Never before had proteins been found to play such a role, and never had an infectious agent been discovered that didn't have nucleic acids and a genome. Prusiner called the infectious agent a prion, a portmanteau of the words infectious and protein. Prusiner won the Nobel Prize for his work on prions in 1997. It took some time for Prusiner's hypothesis to be accepted, but today prions are thought to be involved in the pathology of a group of diseases known either as prion diseases or transmissible spongiform encephalopathies (TSEs). So what exactly are prions? The first key characteristic of prions is that they are folded in an abnormal way, or misfolded. All proteins undergo a folding process as part of their synthesis---the folding helps to determine the protein's function. 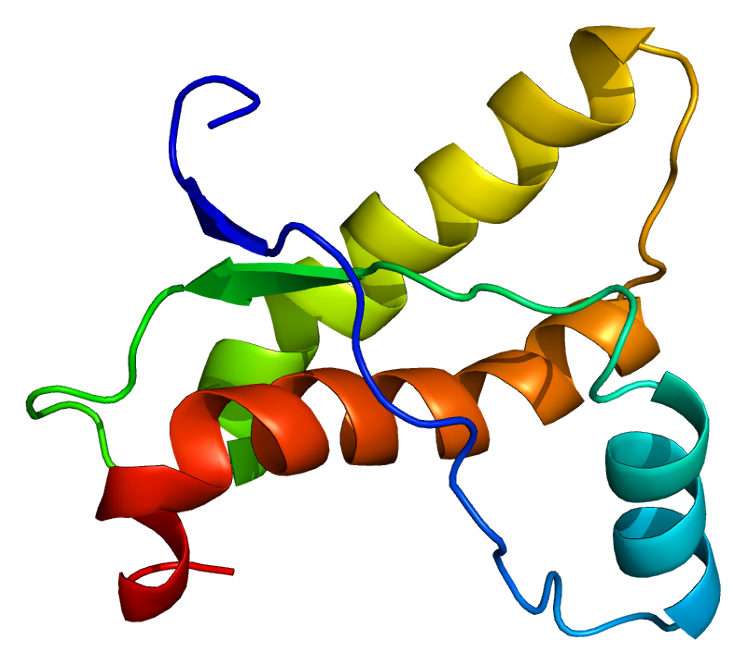 In prion diseases, a protein that has appropriately been called prion protein, or PrP, is misfolded. How these misfolded proteins contribute to disease is still not completely clear, but their appearance in the brain is associated with the progression of prion diseases. Misfolded PrP, unlike normal protein, is resistant to being broken down by enzymes, and in some cases it accumulates in clusters in and around neurons. Many of these clusters are amyloid plaques, a type of misfolded protein deposit well-known for its appearance in other neurodegenerative diseases like Alzheimer's disease. It's uncertain if PrP or the deposits of it that form are directly toxic to neurons, or if they are associated with some other mechanism that is toxic, but neuronal loss and degeneration is also often seen in prion diseases. As PrP increases in the brain, other pathological signs start to appear as well. Large abnormal compartments, or vacuoles, form within neurons and some glial cells. This can give the brain a sponge-like appearance under the microscope. So although the role of misfolded prions in these issues is still not fully understood, the presence of prions in the brain is linked to a number of other pathological changes. And prions seem to have an amazing ability to spread their misfolded state on to other healthy proteins---a characteristic that gives them the infectious quality from which they get their name. Prions can induce misfolding when introduced into a healthy brain, and they can also propagate within the brain of an infected individual, gradually increasing the number of misfolded prion proteins while other pathological changes accumulate. With many prion diseases, this process takes a long time; it can be months to decades before clinical symptoms begin to appear. The symptoms vary depending on the disease, but often involve dementia, problems with muscle coordination, insomnia, loss of motor function, and abnormal behavior. Eventually, all prion diseases lead to death; there are no cures and there isn't even a treatment to slow the progression of the disease. One other unique feature of prion diseases is that they seem to be able to occur in three different ways: by being spread like an infectious disease, as the result of a heritable genetic mutation, or sporadically, which means they appear without any obvious preceding risk factor like infection or family history. For example, variant Creutzfeldt-Jakob disease (vCJD) is a type of prion disease that is transmissible when people eat beef from cows that were infected with another prion disease, bovine spongiform encephalopathy (often called mad cow's disease). The disease is spread when prions from the beef (which are capable of withstanding the high temperatures of cooking) enter the body of a person who consumes it. Fatal familial insomnia, on the other hand, is typically a genetically-inherited disorder where a mutation to the PrP gene leads to the production of misfolded PrP. Patients who suffer from it develop increasingly worsening insomnia until they completely lose the ability to sleep and eventually die. In some cases, however, there is no family history of fatal familial insomnia, and the patient has no clear risk factors for how he or she may have developed the disease. When this is the case with a disease, it is said to arise sporadically. Some prion diseases, like CJD (which is distinct from the variant CJD mentioned above), are primarily sporadic. Researchers are still attempting to fully understand prion diseases and how they work. As research has progressed, scientists have noted some surprising similarities between prion diseases and other neurodegenerative diseases. Conditions like Alzheimer's disease, Parkinson's disease, amyotrophic lateral sclerosis, and others have all been associated with abnormal deposits of misfolded proteins, and research suggests these misfolded proteins may be able to spread throughout the brain just like prions. Early studies have even found that diseases like Alzheimer's disease might be transmissible by exposing someone to the brain matter of an infected patient. This line of research has some, including prion pioneer Stanley Prusiner, arguing that prions are at the heart of many neurodegenerative diseases, not just the transmissible spongiform encephalopathies. If true, this might open up a new realm of possibilities for treatment and diagnosis. A much better understanding of prions in general will likely be necessary, however, before viable treatments emerge.